If you’ve got an interest in architecture or design, these Nashville buildings are sure to impress. Each one has its own unique features, and all of them classify as artistic masterpieces. 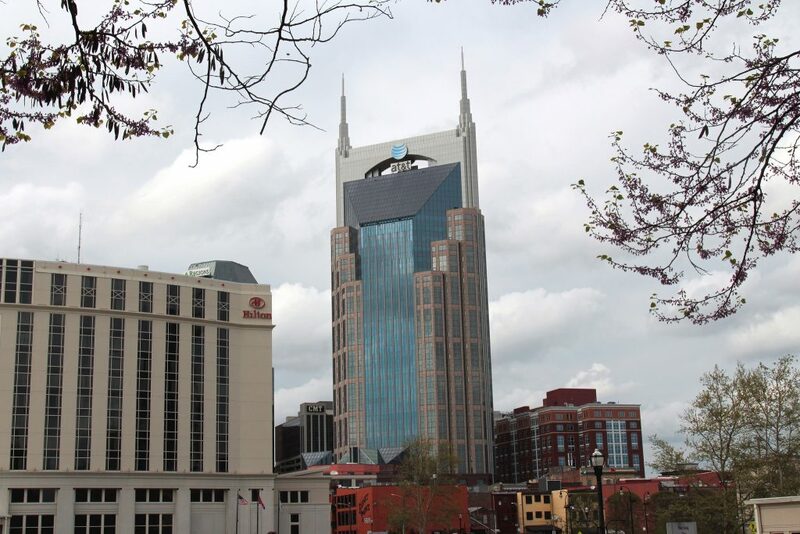 At 617 feet (188 meters), the AT&T Building is currently the tallest building in the state of Tennessee. The 33-story skyscraper, originally designed as an office tower, can accommodate 1,300 vehicles in the nine-story underground parking garage. Because of its design (which is the work of Earl Swensson Associates architectural firm), color, and resemblance to the mask of Batman, people often refer to the building as the “Batman Building.” Since 1994, AT&T Inc. has operated its Tennessee headquarters out of the structure, and local television station WTVF runs two remotely controlled video cameras from the western spine of the building, providing views of Nashville. Known as the “Mother Church” of country music, the Ryman Auditorium is a 2,362-seat live music venue located in downtown Nashville. It was home to the Grand Ole Opry from 1943 to 1974. Designed by architect Hugh Cathcart Thompson, the Ryman has gone through a few different renovation phases; the year 2012 saw the original stage replaced, and in 2015, construction crews expanded and remodeled the building. Part of the expansion included a 100-seat theater that shows holographic films as part of the venue’s daily self-guided tours. The Ryman’s colorful stained-glass-style windows and classic red brick design make it stand out among other buildings downtown. 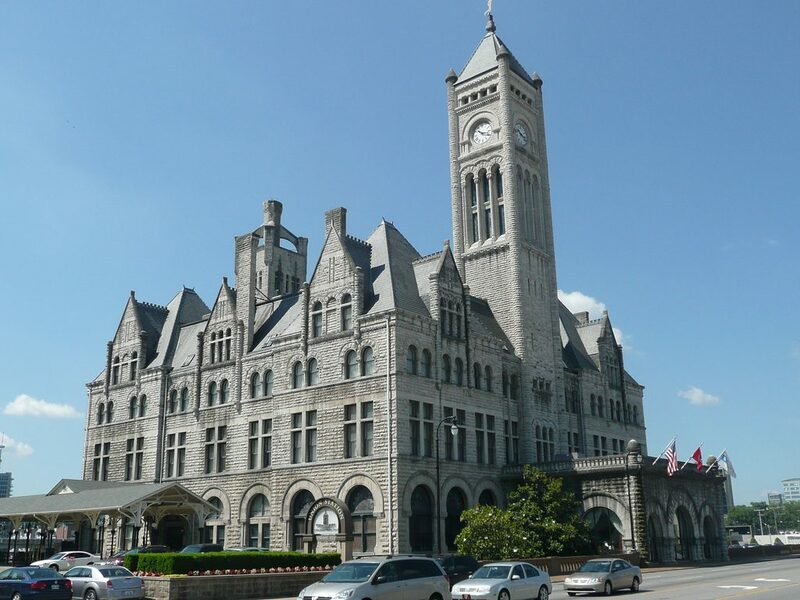 Today it’s a hotel, but when it opened in 1900, Union Station was a railroad terminal that served the passenger operations of eight railroads in Nashville. The building’s design was constructed using Victorian Romanesque Revival architectural details, and the tower originally featured a mechanical digital clock, but after World War I, an analog clock replaced it. At the tip of the tower sits a bronze statue of the Roman god Mercury. Union Station, located west of downtown, underwent a full renovation of its 125 guest rooms in 2016. With architecture modeled after a traditional Roman Basilica, the Cathedral of the Incarnation is the third Catholic cathedral constructed in Nashville. The primary architect for the building was Fred Asmus, and construction began in 1910 under the direction of Bishop Thomas Sebastian Byrne—Saint Martin’s on the Hill in Rome inspired the design. Construction of the building finished in 1914, and the church has since undergone two major renovations. These improvements included the installation of new flooring—composed of tiles from Switzerland and Crossville, Tennessee—and prismatic glass windows and the relocation of the statues of the Holy Family to the baptismal area, plus renovation crews painted the entire church a lighter color. 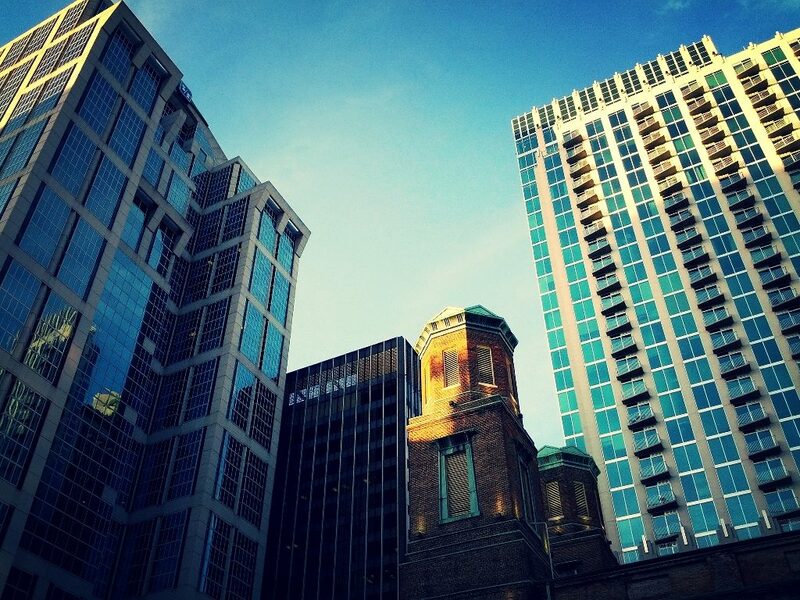 For eight years, until 1994 when the AT&T Building was constructed, the Fifth Third Center was the tallest building in Nashville, and the architecture firm behind the building’s design was Kohn Pedersen Fox, which incorporated a two-story marble lobby. The structure, built in 1986, is the home to the Fifth Third Bank’s Nashville headquarters. The building is 490 feet (149 meters) tall and has 31 floors. However, back in the 1800s, another building stood on the site, a Masonic Hall that federal troops serving in the American Civil War used as a hospital supply store. Situated in the center of Centennial Park is the Nashville Parthenon, a full-scale replica of the original building in Athens, built in 1897. It contains a 42-foot (12.8-meter) replica of the Athena Parthenos statue, made by Alan LeQuire in 1990, complete with a Nike statue in the right hand and a shield on the left arm. Since the building was polychromed as close to the original Athenian temple as possible, with plaster replicas of the Parthenon Marbles found in the naos, it is considered the pinnacle of classical architecture. The Parthenon is an art museum that houses both temporary and permanent displays of 19th- and 20th-century American artists’ work.